The Mediterranean Diet is one of the most successful diets out there if you use it correctly. So, what does the diet entail? These are the primary staples of the diet. It is important to base your breakfast, lunch and dinner around these categories. A mistake many people do when utilizing the mediterranean diet is eating outside of these categories. For example, you should only eat red meats a few times a month. Additionally, you should only eat eggs, poultry, and fish a few times a week. I would stay clear of the "sweets" category entirely because once you start eating cake it is hard to stop. You may have learned that (by this point) that the mediterranen diet focuses on fruits and vegetables. This is how I would recommend structuring your daily meals. To be successful with the mediterranean diet you need to follow the advice laid out above. Structure your meals along the advice given and they should look similar to the picture above. You want your meals to be heavy on the fruits and vegetables and light on the meat. Remember red meat like beef should only be consumed a few times a month (if that!). You want to try and cut that and the sweets out of your diet. Stay away from processed foods like potato chips and french fries. These are not going to help you. Additionally, you should try and pick a new grocery store to go to so you can completely cut out aisles of frozen foods, TV dinners, and processed bags of chips. Grocery stores like Food Lion are no good as they focus on these areas. Try to go to a grocery store like Fresh Market. The Fresh Market trys to sell only organic foods and this is what we want to consume on the mediterranean diet. You may also want to seek out Mediterranean based, local, grocery stores. In the Richmond area there is a great local grocery store in the West End called the Mediterranean Cafe, but if you are not from the Richmond area you should seek to find locations that cater to local grocery stores that sell fresh fruits and vegetables. A Farmer's Market, local area where farmers sell their goods, is a great choice. The map above shows the Richmond area and the vicinity of the Mediterranean cafe, the location that I mentioned above which is a great local grocery store. I would recommend doing some research for your area and trying to find a location that caters to the food groups mentioned in this article so that you may start to lose weight by sticking to the mediterranean diet. 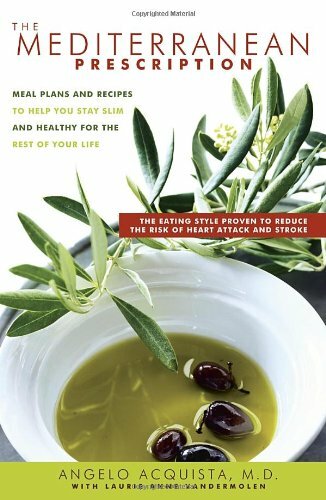 Like any diet it is important to remember that the mediterranean diet is not going to be a cure all magic bullet to your weight gain. You will need to practice good fitness as well to lose any extra pounds. To achieve this try and walk a mile a day and if possible begin jogging and running. A good exercise routine that I have developed is walking once a day in the morning, jogging half a mile in the afternoon, and running once in the evening. If you have a gym membership use it! If you do not belong to a gym then you should consider going to a local gym like Gold's Gym. It is a great place to meet new people and learn how to practice proper exercise and fitness routines. The mediterranean diet is intended to be a starting point. By using the diet you can cut out bad food groups and concentrate on healthy ones. To recap, start eating vegetables and fruits. These are the staples of the diet. Once you have begun to structure your meals around fruits and vegetables then start exercising three times a day. Exercise after you eat your meals. The last important tip and it is important one; cut out harmful fluids like soda. Instead of drinking soda, try drinking a glass of orange juice in the morning, fruit juice in the afternoon and evening. If you can't cut out soda completely then try and limit yourself to one a day.